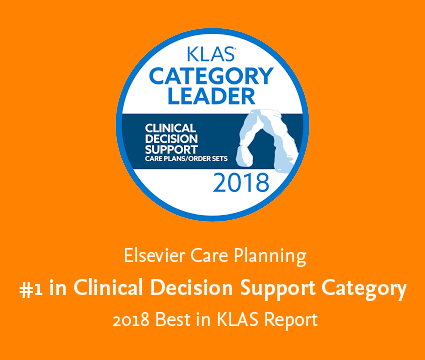 Elsevier Care Planning is the industry’s only EHR-based care planning solution that combines the patient story, more than 500 evidence-based clinical practice guidelines and standardised assessments into one patient-centred care plan across all care settings and disciplines. Elsevier’s pre-built care-planning solution assures seamless integration with a well-established implementation and adoption methodology. Our Care Planning is based on the Elsevier Clinical Practice Model Framework that provides guidance on “how” to address the behaviours and tools to transform culture and practice to support the patient, family, community and caregiver. Unlike other solutions, our clinical practice guidelines are the foundation of the care plan. This means clinicians can apply the evidence at the point of care to support decision making. Developed following a rigorous evidence-based process, as well as seeking review and validation from clinicians from all different specialities. Support the scope of practice of each discipline and the interprofessional team, enhancing consistency in care and promoting top-of-licence clinical practice.